A reverse-contrast letterform is a typeface or custom lettering in which the stress is reversed from the norm: instead of the vertical lines being the same width or thicker than horizontals, which is normal in Latin-alphabet writing and especially printing, the horizontal lines are the thickest. The result is a dramatic effect, in which the letters seem to have been printed the wrong way round. Originally intended as attention-grabbing novelty display designs, modern font designer Peter Biľak, who has created a design in the genre, has described them as "a dirty trick to create freakish letterforms that stood out." Reverse-contrast letters are rarely used for body text, being more used in display applications such as headings and posters, in which the unusual structure may be particularly eye-catching. They were particularly common in the mid- to late nineteenth century, and have been revived occasionally since then. They could be considered as slab serif designs because of the thickened serifs, and are often characterised as part of that genre. Particularly in recent times, the reverse-contrast effect has been extended to other kinds of typeface, such as sans-serif designs and designs more suitable for extended text passages. The design style, also known as "reverse-stroke" or "horizontal-stress", has no connection to reverse-contrast printing, where light text is printed on a black background. A conventional slab-serif typeface, Rockwell. [lower-alpha 3] The serifs have been thickened and the contrast is minimal. Towards the end of the eighteenth century, printers developed what are now called transitional and then Didone types. These typefaces had a far greater amount of stroke contrast than before, with the difference in stroke width much greater than in earlier types. [lower-alpha 4] The resulting, daringly slender horizontals and serif details could show off the increasingly high quality of paper and printing technology of the period. In addition, these typefaces had a strictly vertical stress: without exception, the vertical lines were thicker than the horizontals, creating a much more geometric and modular design. 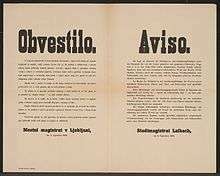 A second major development of the period was the arrival of the printed poster and increasing use of signpainting and printing for publicity and advertising material, for example in newspaper adverts. This caused a desire to develop eye-catching new types of letters. As a result, new styles of painted letters and "display type" began to appear, such as sans-serif and then sans-serif letters around the same time, which were not just larger versions of traditional serif letters. Presumably to be more eye-catching, these new styles of letter were often extremely bold. Hansard's 1825 gallery of ultra-bold 'monstrosities!!!' The typefaces are blackletter, slab serif and the 'Italian' type at the bottom. The earliest known reverse contrast types date to about 1821. They were created H.W. Caslon company in London, presumably as a parody of Didone typefaces and lettering of the period. Nicolete Gray, quoting Francis Thibaudeau, wrote in Nineteenth Century Ornamented Typefaces that the style appeared (presumably as lettering) in France slightly earlier during the First French Empire (1804-1815) without giving a specific example. The typeface had very thick serifs, so the gap between the serifs and the main strokes making up the letters was very small, as can be seen on letters such as 'E' and 'S'. To make the effect even more shocking, the thicker line on the 'A' was moved from its normal position on the right to the left, making a letter that seems to be the wrong way round. A caps-only design, steel master punches for the typeface (perhaps not the very first) survive in the collection of the St Bride Library, London. Writing for Print magazine, Paul Shaw described it as "one of the most bizarre slab serif types of the 19th century." Barnes and Schwartz describe it as "perverse [but] done with sureness and confidence." The Caslon company called the type Italian. 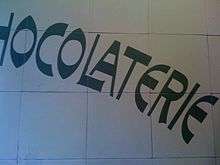 Nicolete Gray has concluded that the style was "probably" Italian in origin, although it was certainly very common for display types to be given unusual, exotic names as a brand; for example, "Egyptian" was often applied to sans (and later slab) serif types of the period and "Antique" to slab-serifs. Reverse-contrast designs do slightly resemble capitalis rustica Roman writing, although this may be a coincidence. They were also called Egyptian. In any case, reverse-contrast types rapidly spread to the United States. The George Bruce company of New York displays Caslon's Italian or a close copy in its 1828 specimen book. Peter Biľak's Karloff is a sophisticated revival designed partly through mathematical interpolation. Biľak's group digitally inverted the contrast of a conventional Didone font: this allowed Biľak to create a normal and matching reverse-contrast font, together with a low-contrast slab serif design all with the same basic structure, named Karloff Positive, Negative and Neutral with an upper and lower case. Village Type's Arbor like Karloff adds a lower-case, while Match & Kerosene's Slab Sheriff is caps-only, with a 'A' featuring the conventional stress on the right. Other unreleased revivals have reportedly been made for private use by Paul Barnes and Justin Howes. In the mid to late nineteenth century, it became popular for type foundries to offer reverse-contrast variants of Clarendon, a popular slab serif type genre, especially in the United States, creating large block serifs at the top and bottom of the letter. This was known as French Clarendon type. The advantage of French Clarendon type was that it allowed very large, eye-catching serifs while the letters remained narrow, suiting the desire of poster-makers for condensed but very bold type. French Clarendon types are often associated with wild-west printing and seen on circus posters and wanted notices in western movies. In fact, the style was used in many parts of the world during this period. The style is sometimes called 'circus letter'. The practice was less popular with Arts and Crafts movement printers: DeVinne commented in 1902 that "To be hated, it needs but to be seen." In Europe the style was sometimes called Italienne, matching the Caslon name. In contrast to the original Caslon type, which features horizontals in the middle of the letter (like the cross-bar in the H) that are often but not always thick, French Clarendon types have the only thick lines at the top and botton, and all inner horizontals thin. French Clarendon designs were often created in wood type, used for large-print letters on posters. The University of Texas at Austin, which maintains a large archive of American wood type, reports that the first known wood French Clarendon type was issued by William Hamilton Page in 1865. Their collection shows the many other names used for wood type which display reverse-contrast characteristics, including 'Celtic', 'Belgian', 'Aldine' and 'Teutonic', as well as Italian again and sometimes 'Tuscan' or 'Etruscan' also. [lower-alpha 5] (At the time a separation did not fully exist between genre names and typeface names, so these may be the names of individual types, or if they proved popular the name of the subgenre they created.) At least one sans-serif typeface with reverse contrast was developed in this period. Because of their quirky, hand-made design, lighter versions of the style were popular for uses such as film posters in the 1950s and 60s. ↑ The fat face design is Elephant by Matthew Carter, a modern revival of the genre. ↑ This was not the only way in which fonts could appear different, however: differences in x-height, spacing, condensation and colour on the page can make body text fonts look different in design even if individual letters are not that different. ↑ Rockwell is actually from the 1930s, but early slab-serif typefaces were very similar. ↑ Didone types were at the time called 'modern' for their sophisticated image; the name has fallen from use as they have become less common in body text from around the end of the nineteenth century. ↑ The defining feature of 'Tuscan' fonts is that they have diamond points protruding from the letter and/or ornate serifs, but some were reverse-contrast also. 1 2 A Specimen Book of Printing Types. New York: George Bruce. 1828. Retrieved 24 October 2015. 1 2 Kennard, Jennifer. "The Story of Our Friend, the Fat Face". Fonts in Use. Retrieved 11 August 2015. 1 2 Phinney, Thomas. "Fat Faces". Graphic Design and Publishing Centre. Retrieved 10 August 2015. ↑ "New Faces in Washington". Font Bureau. Retrieved 24 November 2015. 1 2 3 4 Barnes & Schwarz. "Type Tuesday". Eye magazine. Retrieved 10 August 2015. ↑ Abel, Naomi. "The Chosen Contrast". Alphabettes. Retrieved 3 October 2016. 1 2 3 4 Biľak, Peter. "Beauty and Ugliness in Type design". I love typography. Retrieved 10 August 2015. 1 2 Lawson, Alexander (1990). Anatomy of a Typeface (1st ed.). Boston: Godine. pp. 321–323. ISBN 9780879233334. 1 2 Peters, Yves. "Fontlists: Reverse Contrast". Fontshop. Retrieved 15 August 2015. ↑ Helen Osborne (18 November 2012). Health Literacy From A to Z. Jones & Bartlett Publishers. p. 211. ISBN 978-1-4496-7734-3. ↑ "Sentinel's Ancestors". Hoefler & Frere-Jones. Retrieved 14 August 2015. ↑ Phinney, Thomas. "Transitional & Modern Type Families". Graphic Design & Publishing Center. Retrieved 30 October 2015. ↑ De Jong, Cees W.; Purvis, Alston W. & Friedl, Friedrich (2005). Creative Type: A Sourcebook of Classical and Contemporary Letterforms. Thames & Hudson. p. 223. ↑ Hoefler, Jonathan. "Didot History". Hoefler & Frere-Jones. Retrieved 11 August 2015. ↑ Meggs, Philip B. & Purvis, Alston W. (2006). "Graphic Design and the Industrial Revolution". History of Graphic Design. Hoboken, NJ: Wiley. p. 122. ↑ Sutton, James & Sutton, Alan (1988). An Atlas of Typeforms. Wordsworth Editions. p. 59. ISBN 1-85326-911-5. ↑ Eskilson, Stephen J. (2007). Graphic Design: A New History. New Haven: Yale University Press. p. 25. ISBN 9780300120110. 1 2 3 Frere-Jones, Tobias. "Scrambled Eggs & Serifs". Frere-Jones Type. Retrieved 23 October 2015. ↑ Nesbitt, Alexander (1998). The History and Technique of Lettering. Mineola, NY: Dover Publications. pp. 158–161. ISBN 9780486402819. ↑ Mosley, James (6 January 2007). The Nymph and the Grot, an Update. It became clear that in 1805 Egyptian letters were happening in the streets of London, being plastered over shops and on walls by signwriters, and they were astonishing the public, who had never seen letters like them and were not sure they wanted to. 1 2 Hansard, Thomas Curson (1825). Typographia: An Historical Sketch of the Origin and Progress of the Art of Printing. London: Baldwin, Cradock & Joy. Retrieved 23 October 2015. ↑ Devroye, Luc. "Henry Caslon". Retrieved 10 August 2015. ↑ Heller, Steven & Meggs, Philip B., eds. (2001). Texts on Type: Critical Writings on Typography. New York: Allworth Press. p. 71. ISBN 9781581150827. 1 2 Biľak, Peter. "Conceptual Type". Typotheque. Retrieved 25 October 2015. 1 2 Gray, Nicolete (1976). Nineteenth-century Ornamented Typefaces. pp. 32–33. ↑ Shaw, Paul. "Arbor, a Fresh Interpretation of Caslon Italian". Print. Retrieved 30 October 2015. 1 2 3 4 Frutiger, Osterer & Stamm (2014). Adrian Frutiger – Typefaces: The Complete Works. Walter de Gruyter. pp. 346–351. ISBN 9783038212607. 1 2 De Vinne, Theodore (1902). The Practice of Typography, Plain Printing Types (2nd ed.). New York: The Century Co. pp. 333–334. Retrieved 24 November 2015. ↑ Tracy, Walter (2003). Letters of Credit: A View of Type Design. Boston: David R. Godine. ISBN 9781567922400. 1 2 "Caslon's Italian by James Clough". Blue Pencil. Retrieved 23 October 2015. ↑ Shinn, Nick. "Karloff Review". Typographica. Retrieved 25 October 2015. ↑ "Karloff Positive". Typotheque. Retrieved 25 October 2015. ↑ Sheldon, Alex. "Slab Sheriff". MyFonts. Match and Kerosene. Retrieved 23 October 2015. ↑ "Arbor". Village Type. Retrieved 23 October 2015. ↑ Barnes, Paul. "Caslon Italian". Retrieved 23 October 2015. 1 2 Provan, Archie & Lawson, Alexander S. (1983). 100 Type Histories. volume 1. Arlington, VA: National Composition Association. pp. 20–21. 1 2 "P.T. Barnum". MyFonts. ↑ Challand, Skylar. "Know Your Type: Clarendon". IDSGN. Retrieved 13 August 2015. 1 2 Lupton, Ellen. Thinking with Type. p. 23. ISBN 9781616890452. ↑ Gomez-Palacio, Bryony & Vit, Armin (2012). Graphic Design Referenced: A Visual Guide to the Language, Applications, and History of Graphic Design. Gloucester, MA: Rockport. p. 124. ISBN 9781592537426. ↑ "Antique Clarendon Type". Rob Roy Kelly American Wood Type Collection. University of Texas at Austin. Retrieved 23 October 2015. ↑ "Tuscan no. 132". Rob Roy Kelly American Wood Type Collection. University of Texas at Austin. Retrieved 23 October 2015. ↑ "Teutonic". Rob Roy Kelly American Wood Type Collection. University of Texas at Austin. Retrieved 23 October 2015. ↑ Kupferschmid, Indra. "Type Classifications". kupferschrift * (blog). Retrieved 24 November 2015. ↑ "Gothic Bold". Rob Roy Kelly American Wood Type Collection. University of Texas at Austin. Retrieved 23 October 2015. ↑ "Playbill". MyFonts. Linotype. Retrieved 11 October 2015. ↑ "Westside". Linotype. Retrieved 12 September 2015. 1 2 Ross, David Jonathan. "Backasswards! (presentation)" (PDF). Retrieved 15 August 2015. 1 2 Ross, David Jonathan. "Backasswards!". Retrieved 15 August 2015. ↑ Elnar, Rachel. "David Jonathan Ross Loves Contrast". Type Ed. Retrieved 23 October 2015. ↑ "Trilby". Font Bureau. Retrieved 13 August 2015. ↑ Shaw, Paul. "Slab Happy: Trilby Reviewed". Print. Retrieved 15 August 2015. ↑ "My favourite fonts of 2009". i love typography. Retrieved 15 August 2015. ↑ Papazian, Hrant. "Mønster". Typographica. Retrieved 19 October 2015. ↑ Braden, Felix. "Floodfonts – Bigfish". Floodfonts. Retrieved 25 August 2015. ↑ Larabie, Ray. "Sunday Evening". Typodermic. Retrieved 24 November 2015. ↑ Peters, Yves. "Award: Signo". Fontshop. Retrieved 23 October 2015. ↑ Jenkins & Mickel. "Aero". Village Type. Retrieved 23 October 2015.